Boil the 3 cup of milk in a stock pot and let it simmer for few minutes. meanwhile,in a small pan add a tsp of ghee and fry the vermicelli till it turns golden brown. In the same pan add another tsp of ghee and fry the raisins till they all puffed up . Keep it seperate.Add the cashews &amp; fry till it turns crisp ,golden brown. 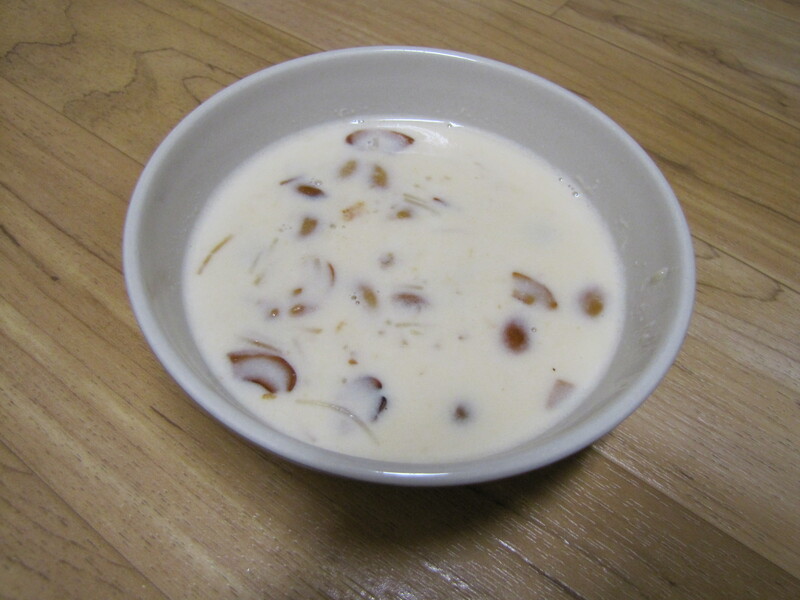 Coming to the milk part, add 2 spoon of condensed milk to the milk .Slowly add the fried vermicelli in this mixture and let this cook for five minutes. By then, semiya will be cooked. Now add the sugar and the fried cashews ,raisins. Wait for 3 minutes so that they blend well. Switch off and serve.